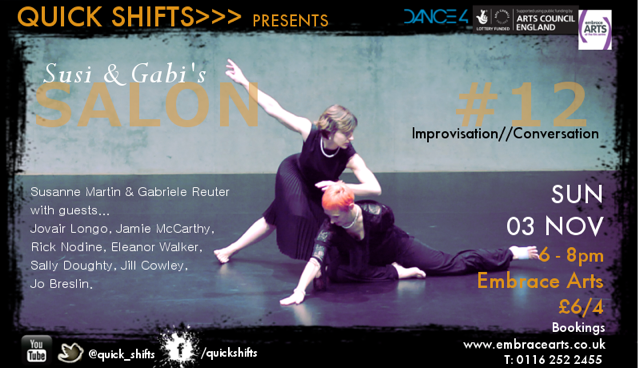 The latest edition of Susi & Gabi’s Salon marks the beginning of the Tanzfabrik showcase series “Open Spaces” from November 1-6, 2017. Two of the performance groups invited to the showcase can already present their work here and put it up for discussion. 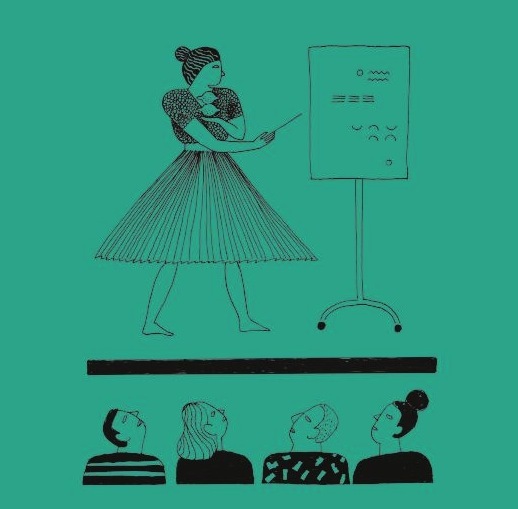 The salon, as designed by Susanne Martin and Gabriele Reuter, is based on a long tradition and – in addition to its humorous and artistic dynamic and quality – is socio-politically, feministically and educationally motivated. 1. Welcome; 2. Warm-Up; 3. Transition; 4. 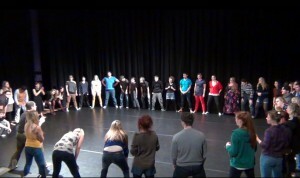 Performance; 5. Talk over drinks; 6. Body work of the day; 7. 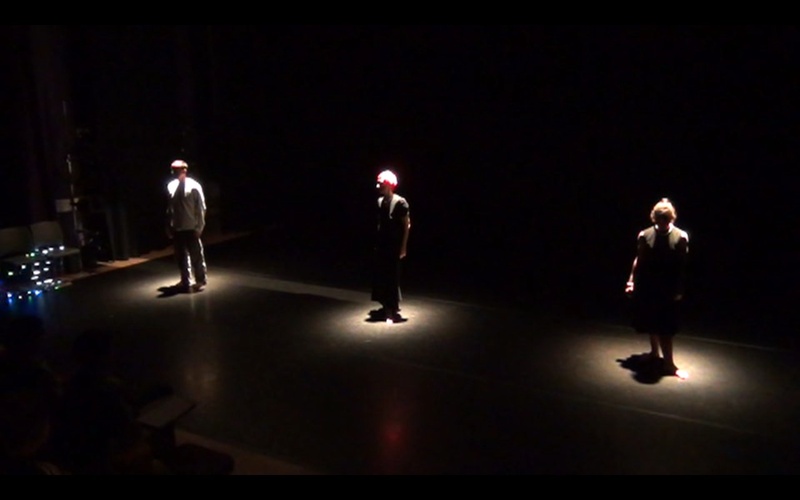 Performance; 8. Improvisation ‚positioning of my art‘; 9. 100 questions and 3 answers; 10. Audience award. Welcome: Directly at the entrance we soon see from the stage, costumes, lighting and music that we are in a salon: the warm light, the waltz music, the sequin jackets and the pleated skirts of the two salonnières as well as their distinctive pearl necklaces create an atmosphere in which the group will partake for the next two hours. By contrast, the bare feet of the hostesses contrast with the historicizing salon attributes and clearly distinguish our situation as being embedded in contemporary art and society. In the welcoming part, the language question is quickly clarified: the language of the evening will be English, due to the international guests that are present. 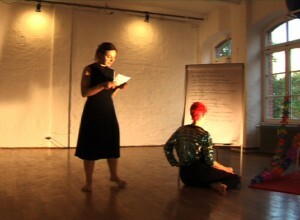 Guests will be informed of the evening’s progress (a flipchart with the schedule will be visible throughout the evening) and given a task: to record questions during the evening that may arise from the presented verbal or choreographic content (between a clear distinction is made between “real” and “rhetorical” questions). These questions will be collected in Phase 9 of the evening, but only a few will actually be answered. Afterwards Reuter and Martin select a representative from the audience, who at the end of the evening may present the Audience Award (two lemons) for two particularly successful “aspects” of the evening. Warm-Up: Reuter and Martin increasingly integrate language into their warm-up, which initially begins as a purely physical contact duo, until they each present a striking anecdote from their studies: Reuter recalls a lesson from her lecturer, who had explained the significance of the audience for the essence and effect of art: “The artwork becomes animated because you look at it.” Martin talks about the notion of the “aspect” in Wittgenstein: An “aspect” always occurs when there is a change in thinking or in perception – an “aha moment”. In this phase of the salon evening, therefore, a kin-aesthetic-intellectual warm-up occurs, which both conveys information and invites active thinking and participation. Resonance: The following stations are dedicated to theworking methods of the two invited artist groups: MartinSonderkamp/Darko Dragičević and Shannon Cooney with her team. 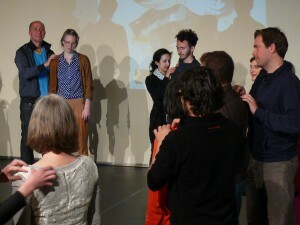 From this phase of the evening I would like to mention the idea of the “responses”: After both groups showed each other an excerpt from their current productions, Reuter and Martin spontaneously stepped onto the stage and performed a “resonance”, which they attribute to their subjective memory as a moment from the presented material. In so doing, they present what they have personally perceived and experienced for all of us, what they remember and what they can do with their bodies. The theoretical concepts introduced at the beginning of the co-creative power of the art-recipients as well as the aesthetic experience of an aspect can be practically experienced here. 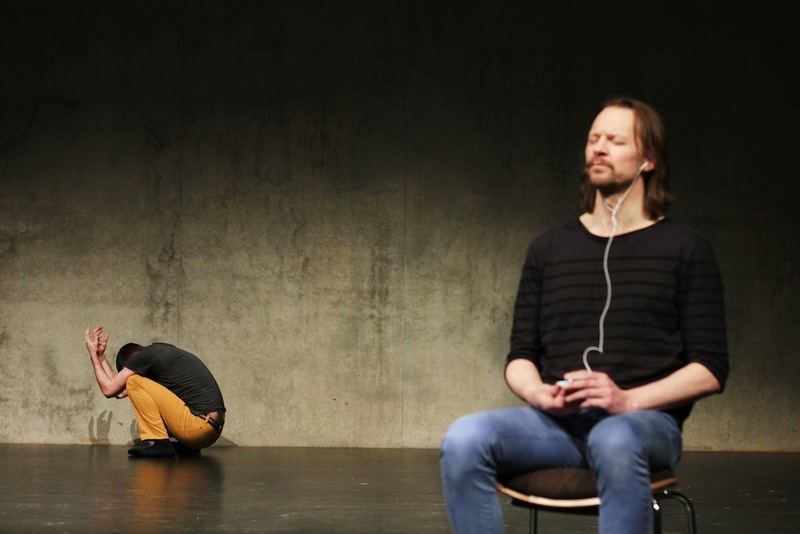 On the other hand, both artists’ groups present their works in a way that actively involves the audience directly: Martin Sonderkamp asks half of the audience to leave the studio for a while, so that he can provide the other half information about the production. 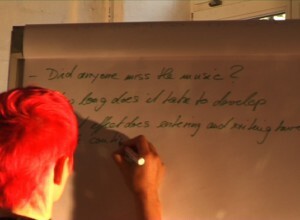 In this way, he wants to discover how being informed can augment or affect the visual experience. After the performance, both audiences can exchange their own visual experiences with a glass of sparkling wine and pretzel sticks. A lively “working break” is the result. Shannon Cooney, on the other hand, asks all interested parties to take the stage and initiates a five-minute somatic session in which we practice three-dimensional vision with our eyes closed. This sensitization not only has a pleasant, personal effect, but also prepares you physically and atmospherically for the subsequent part of the performance. Positioning: The subsequent eighth session of the evening invites all participating artists to reflect on themselves and their art through the terms “improvisation”, “material”, “movement”, “dance”, “choreography”, “vision”, “relation”, etc. 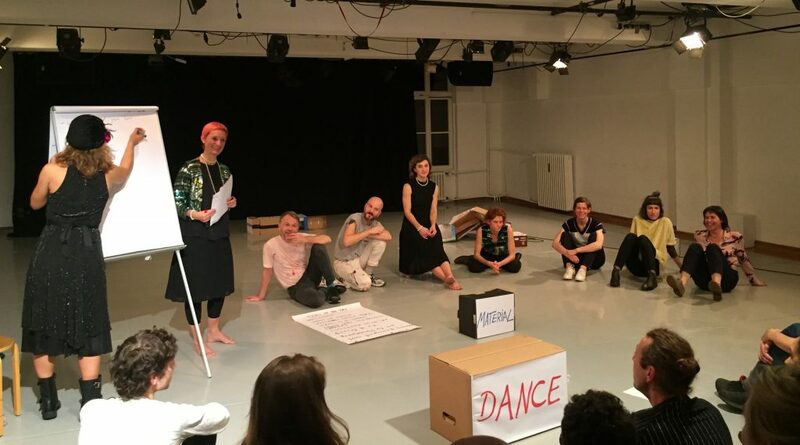 The terms are written on cardboard boxes and quickly invite all to partake in a group improvisation, in which different meanings and definitions arise through different arrangements – and are dissolved again. Is the format transferable? The person in the seat next to me says goodbye at the end of the salon with the words “Now everything’s even more complicated for me than before! But it was exciting!”. In this sense, I can fully recommend the format for other productions, especially as a prelude to smaller festivals. Maren Witte, Dr. Phil, is professor for theatre theories, dance and movement research at Hochschule für Künste im Sozialen, Ottersberg, Germany. Dieser Beitrag wurde am 19. August 2018 von susanne in Salons, Salons since 2011 veröffentlicht. 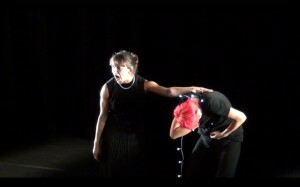 Schlagworte: Performance, Salon. Dieser Beitrag wurde am 11. Januar 2018 von susanne in Salons since 2011 veröffentlicht. Schlagworte: Salon. Dieser Beitrag wurde am 19. Oktober 2013 von susanne in Salons, Salons since 2011 veröffentlicht. Schlagworte: Improvisation, Salon. Dieser Beitrag wurde am 10. März 2013 von susanne in Salons, Salons since 2011 veröffentlicht. Schlagworte: Improvisation, Salon. 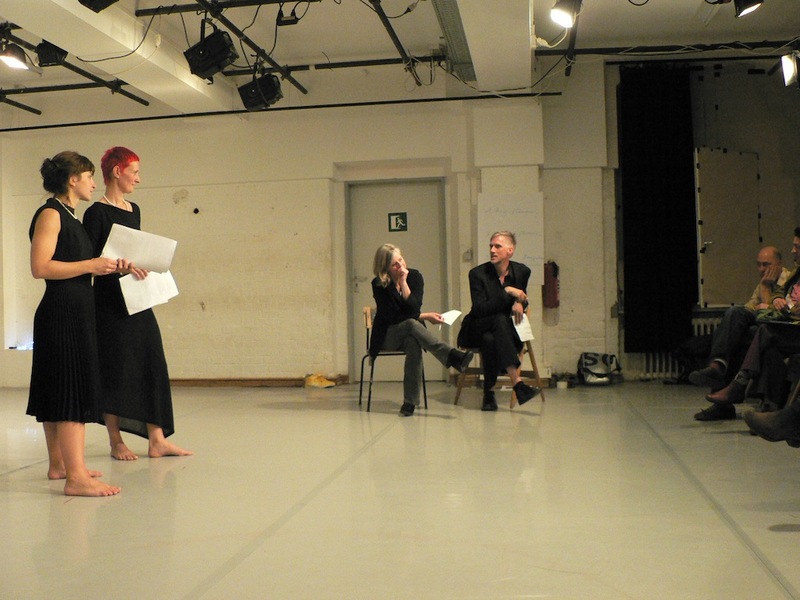 A second evening on transforming body and shifting dance practices. 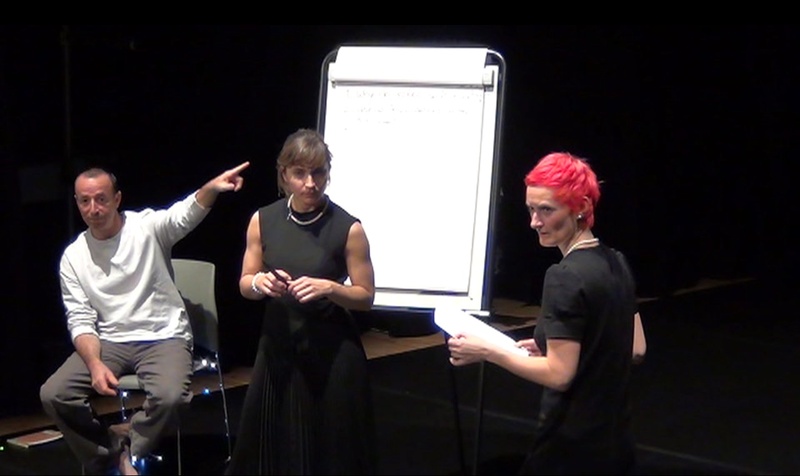 This time Susi and Gabi throw themselves and their own current practice of improvisation on the stage working on recipes from two weeks workshops, rehearsals, lectures and personal encounters. The Closing-Salon is a subjective, improvised, unsustainable response to the festival, and is therefore itself a transformational practice. How far-reaching it will be seen … as always. 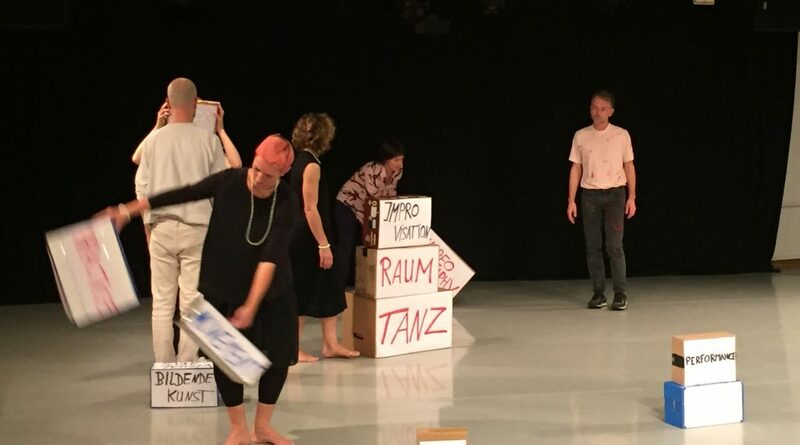 Ein zweiter Abend zum Thema transformatorische Körper und sich verändernde Tanzpraxen. 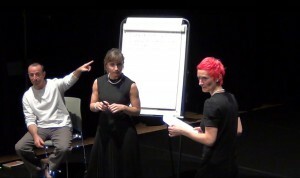 Diesmal werfen sich Susi und Gabi mit ihrer eigenen, aktuellen Improvisationspraxis auf die Bühne und verarbeiten so die Inspirationen und Rezepte aus zwei Wochen Workshops, Proben, Lectures und persönlichen Begegnungen während Tanz Hoch Zwei. Salon-Gäste werden sie aus dem Pool der Künstler und Dozenten des Festivals einladen. Der Abtakt-Salon ist eine subjektive, improvisierte, unhaltbare Reaktion auf die letzten zwei Wochen und damit selbst eine transformatorische Praxis. Wie weitreichend wird man sehen … wie immer. Der Salon findet statt mit Unterstützung der Tanzfabrik Berlin. Dieser Beitrag wurde am 15. April 2012 von susanne in Salons, Salons since 2011 veröffentlicht. Schlagworte: deutscher Text, Improvisation, Salon. 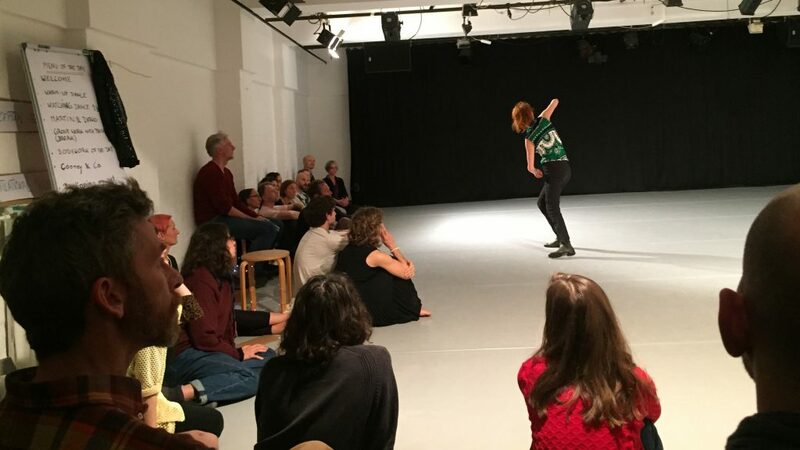 This salon invites teachers of this year‘s workshop program and the Tanzfabrik team to devote their improvisations to the topic of the body in transformation. 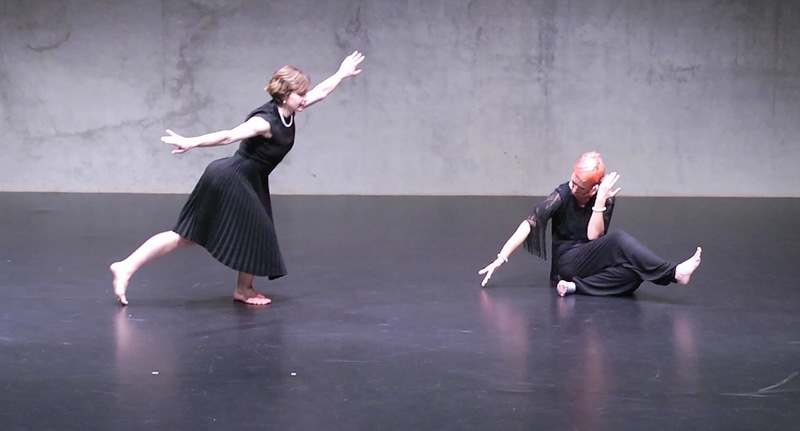 In short performances and featured exercises current practices and future dance shows are compared, adopted, celebrated, and perhaps transformed instantly. A meeting between imprography, choreosation, never asked stupid questions and impressive specialization. Susi & Gabi‘s Salon is the prelude to two weeks of further trial and error, questions and watching of physical exercises during the festival. sich dem Festivalthema transformatorischer Prozesse zu widmen. 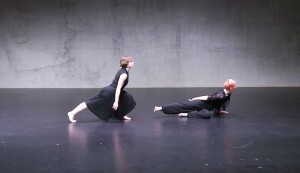 In kurzen Performances und vorgestellten Körperübungen werden verworfene, aktuelle und zukünftige Tanzpraxen gezeigt, verglichen, verabschiedet,gefeiert und vielleicht vor Ort transformiert. Dieser Beitrag wurde am 31. März 2012 von susanne in Salons, Salons since 2011 veröffentlicht. Schlagworte: deutscher Text, Improvisation, Salon. 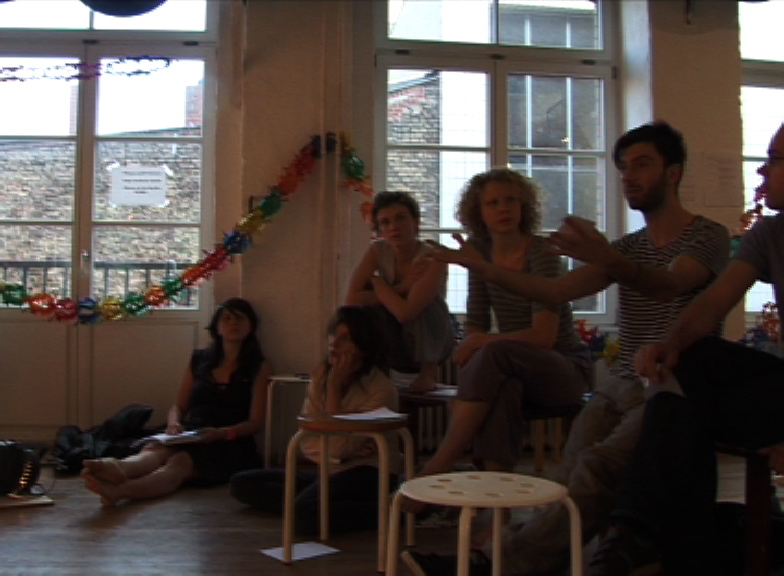 After four editions in Berlin with such wonderful guests as Amos Hetz (Jerusalem), Andreas Mueller (Berlin), Rosalind Crisp (Paris) and Hodworks (Budapest), Susi‘s and Gabi’s Salon resides this autumn in Leicester and Plymouth, meeting improvisation based artists from the UK and the famously playful and witty British audience. Dieser Beitrag wurde am 29. November 2011 von susanne in Salons, Salons since 2011 veröffentlicht. Schlagworte: Improvisation, Salon. 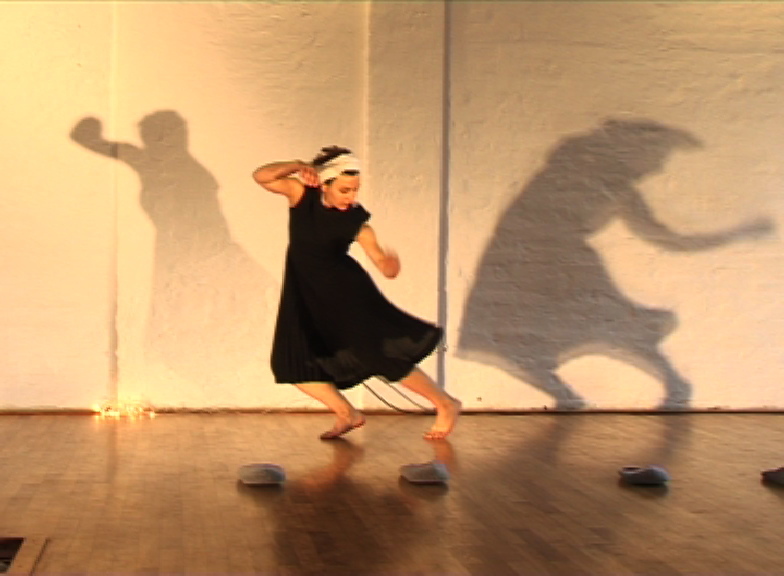 Amos Hetz is a dancer and movement teacher, looking for expanding his movement vocabulary through the use of the Eshkol Wachman Movement Notation and the heritage of the somatic learning. He composes solo dances, dance-collaborations, and movement games. 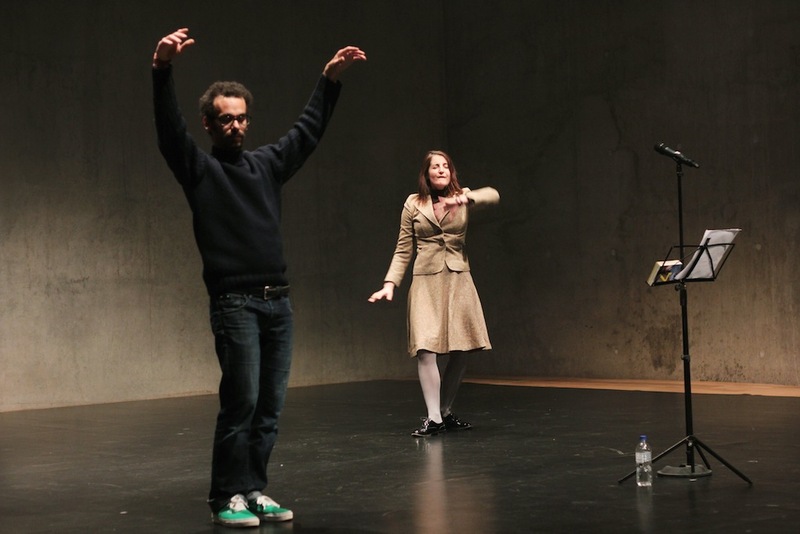 For the last 22 years he was artistic director of the „Room Dances Festival“ in Israel. Can I say ‘old’ performer or is it rude? old = mature? – young = immature? Susanne: I love to see older people on stage, and I would like to become one of them myself. There are several ways to contribute to that. One is that I’m looking for ways and strategies for myself that allow me physically and creatively to keep going performing dancing as a life long practice. Another is that I’m studying the strategies and underlying concepts and ideas and circumstances of older performers who have an improvisational focus in their performance work. 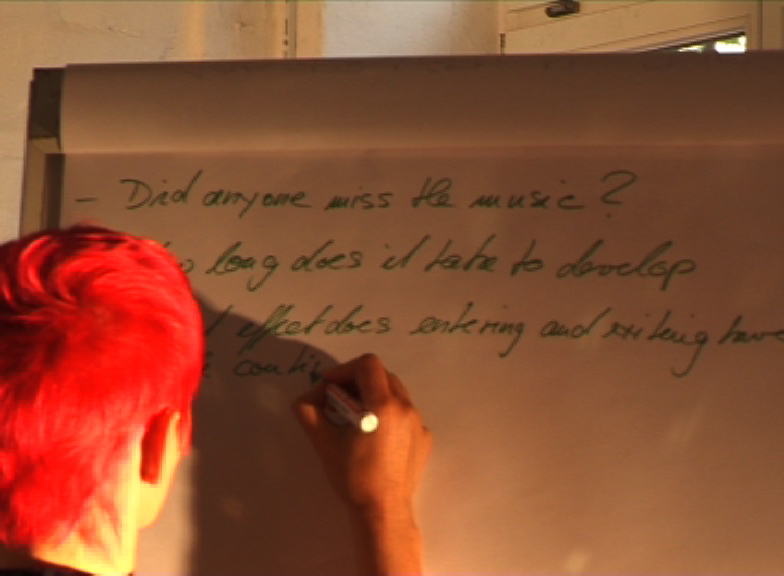 Because that is the field I’m working in and know the most of myself, and that is the field where I met the most exciting artists and choreographers. One of them is Amos Hetz. I met Amos through one of his choreographic projects, “Vexations” in which I participated twice (1997? and 2010). During Vexation I experienced him as an old artist with a very specified and detailed aesthetic and interest, who nevertheless invites performers very different from himself to collaborate in his performance score. And the score he proposed, although tight and rigorous, still had gaps and spaces for our divers choreographic practices. I experienced the whole 12-hour performance, not only as a composition and meeting of all our aesthetics and motivations, but as an active negotiation between all of us. But especially between him as the director and us bringing along our own individual universes.This openness and effort of negotiation and dialogue seems to me one key of how to keep a dance practice alive through decades, through changing fashions and changing artistic values. Dieser Beitrag wurde am 4. 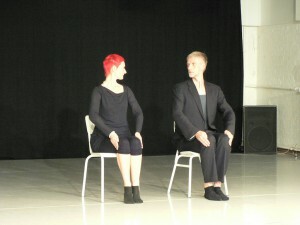 September 2011 von susanne in Performing Age(ing), Research, Salons, Salons since 2011 veröffentlicht. Schlagworte: Ageing, Improvisation, Salon. Salon Guests: Joris Camelin, Rosalind Crisp, Luc Dunberry & Mata Sakka. Dieser Beitrag wurde am 10. Juli 2011 von susanne in Salons, Salons since 2011 veröffentlicht. Schlagworte: Improvisation, Salon. In der zweiten Ausgabe ist Andreas Albert Müller aus Berlin zu Gast, den wir gebeten haben, etwas von seiner Auseinandersetzung mit Rosalind Crisps choreographischen Methoden vorzustellen. Tanzen aktualisiert sich dauernd durch tanzendes Befragen, Denken und Tanzen laufen ineinander. Das Bewegen spannt sich auf zwischen beweglichen Begriffen vom Bewegen. Als Fortsetzung des Marathons „THEY STILL SHOOT HORSES.“ wird am 5.8. zum Stromereien – Festival in Zürich „Sog“ zu erleben sein: Mit R. Crisp, B. Wiget, L. Archetti und Müller. Dieser Beitrag wurde am 4. Juni 2011 von susanne in Salons, Salons since 2011 veröffentlicht. Schlagworte: deutscher Text, Improvisation, Salon. Ein Salon in dem sich Gabriele Reuter und Susanne Martin auf verschiedenen Pfaden dem Phänomen der Improvisation widmen: praktisch, tänzerisch, theoretisch, mit Zuschauerbeteiligung oder mit geladenen Gästen. 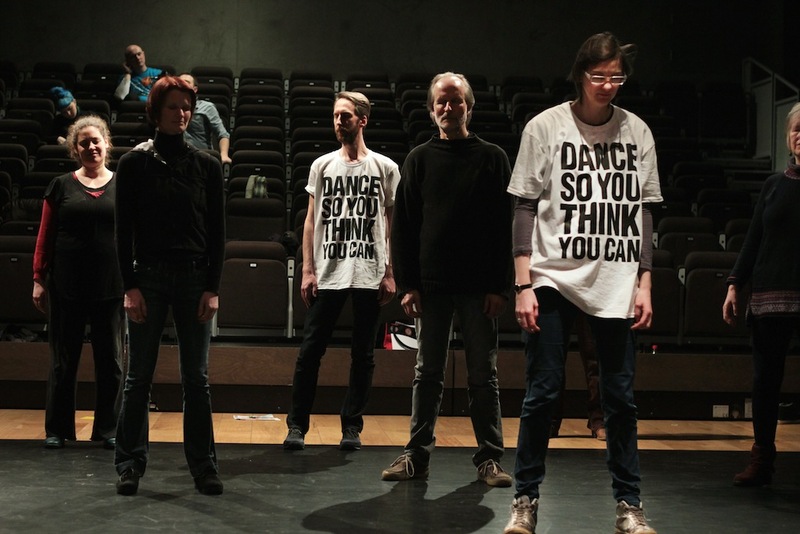 In der ersten Ausgabe ist die Gruppe HODWORKS aus Budapest zu Gast, die gerade eine dreimonatige Residenz in der Tanzfabrik Berlin haben und sich in ihrem Projekt „Daily Routine“ zwischen Improvisation und Choreographie bewegen. Das Showing „Choice“ im Radialsystem am 2o. Mai um 17.00 wird die Residenz von HODWORKS in Berlin beschließen. 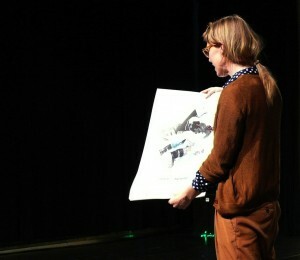 HODWORKS was founded by Adrienn Hód in 2007. 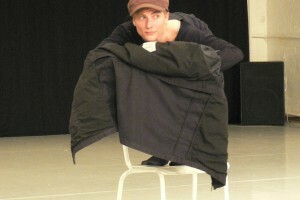 Besides permanent members the company also invites performers from different fields of art. 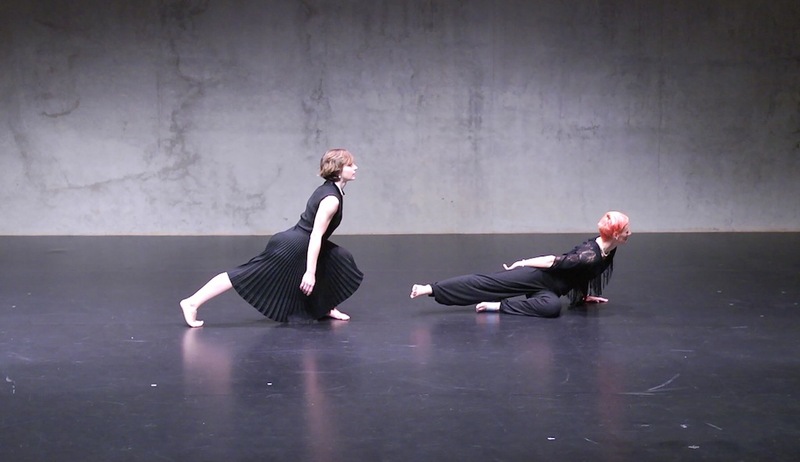 The work is based on a method invented by Adrienn Hod, which focuses on the creation of new forms of movement and dramaturgical principles. 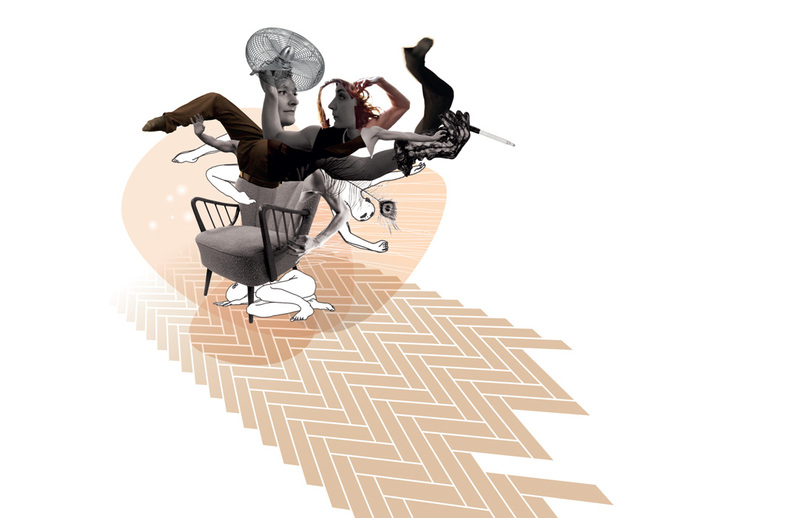 Her pieces are presented in theatres as well as site specific venues. Dieser Beitrag wurde am 8. Mai 2011 von susanne in Salons, Salons since 2011 veröffentlicht. Schlagworte: deutscher Text, Improvisation, Salon.